A Warm Welcome To The Panthers Judo Club Web Site. 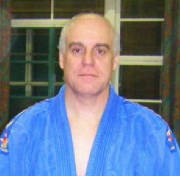 Firstly, please allow me to introduce myself, I am Andy Burke, the Panthers Judo Club principal coach, We have noted below just a few of the core beliefs which we tutor by, and would love to see you at our judo club, remember that the first lesson is totally FREE!, so you have nothing to lose and everything to gain. Why not give it a go, you may surprise yourself, and others around you? The club's golden rule is that, when you walk through the door you should have a smile on your face, as you will be looking forward to the session, and when you leave, the smile should still be there, because you have thoroughly enjoyed yourself, although feeling a little worn out! We ensure that all lessons are tailored so that the emphasis is on fun and within a relaxed atmosphere, especially with juniors, with the added bonus of learning a thing or to about judo, which not only involves fitness, self defence etc, but is also a very effective confidence building tool. The club is not solely run to obtain belts and win competitions, you will alone decide if this is the direction you would like to take, either way this will in no way effect the standard of coaching you receive. Over the past few years we have had the privilege of teaching 1500 or so students and, would say that all have gained a little something out the experience, as have we. We feel very humbled to be in a position of which we can add a little something back to the community which we live in. You will receive a very warm welcome whether you are a novice,veteran player or somewhere in between!, and will be made to feel right at home by our friendly and experienced coaching staff. Thankyou and we look forward to welcoming you to our club soon. To become a member of our very freindly family ran club, just come along and have a go, ages from 5 upto 85 are all welcome. Remember that your first lesson is FREE!! Normal lesson costs:- £2.50 per session regardless of age or grade. Discounts available for families of 3 or more, please ask for full details. 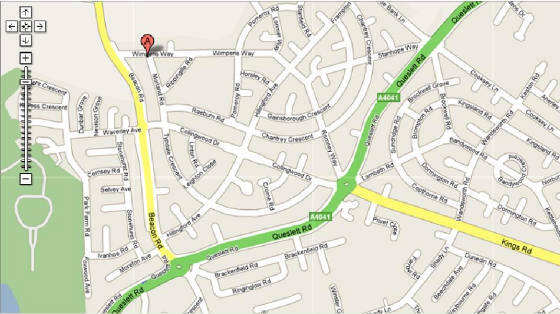 Phone Andy or Lisa for any further information on:- 0121 360 5411.